For those of you who have time during the day please join us at this annual event. We will have guest speakers, the raising of the flag led by an officer in Red Serge and light refreshments while mingling with likeminded community residents. Volunteer Strathcona and our National Volunteer Week sponsor Imperial Oil is extremely excited to be hosting our first ever self-care event. We recognize and value the importance of volunteers within all communities and wish to celebrate our local volunteers with the gift of self-care. We have a wide range of wellness vendors lined up who will be sharing the many ways to approach self-care and cannot wait to greet and meet all of our community volunteers who attend. Volunteering takes time, effort, energy and skill sets that can be an additional workload above the regular day to day functions. We are inspired by their selflessness and it is our wish to be able to “fill their cup” as they do for others. This is a FREE event (trade fair style) for volunteers of all ages and will focus on educating individuals on the importance of taking the time to care for themselves. 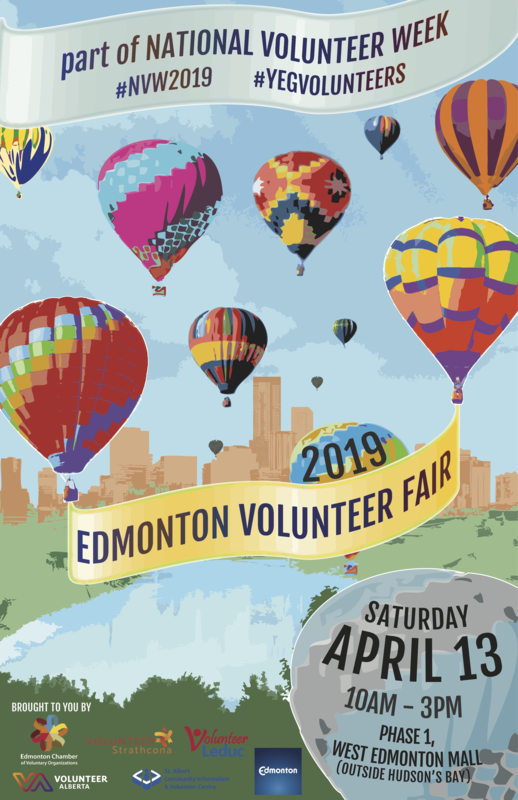 Stop by our booth at the Salisbury Farmers Market to learn about volunteer opportunities in Strathcona County. Volunteer Strathcona staff will be out and about in the community throughout National Volunteer Week, sharing information and resources, and recognizing volunteers. If you are having a special event during National Volunteer Week and would like us to be there just give us a call.